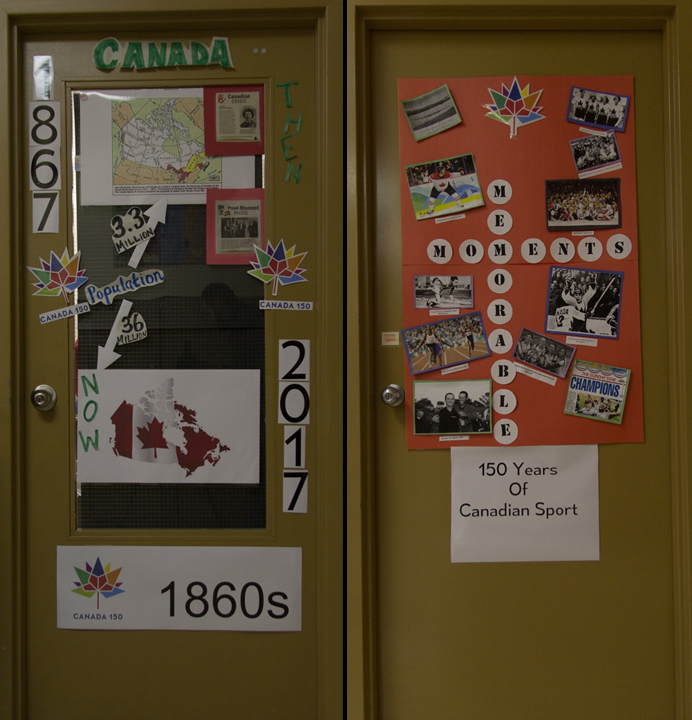 Durham Alternative Secondary School, in Oshawa, ON Celebrates Canada 150! 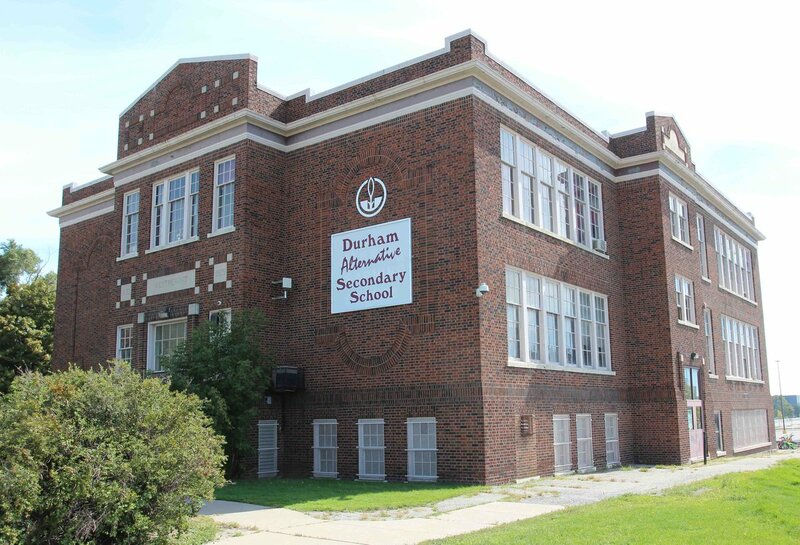 Comments Off on Durham Alternative Secondary School, in Oshawa, ON Celebrates Canada 150! We are honoured to be part of Canada 150 events with Durham Alternative Secondary School (DASS), who are celebrating for the entire semester! When DASS first contacted us about Canada 150 products, no one could have known what would happen next. It began with invaluable client feedback and quickly and unexpectedly morphed into a chance to be a part of something special! During a recent day of celebrations, students and teachers took part in a drum call, a smudging ceremony and territorial acknowledgement. And the staff, as the Masters of Ceremonies, impersonated Bob and Doug McKenzie of SCTV fame. Talk about a Canadian event, eh? They played videos: CBC Canada Video (150 Facts About Canada….in 150 Seconds), Canada 150 video (We’re Canadian….Canada 150 Song) and This Land Is Your Land , all beautiful reflections of what it truly means to be Canadian. 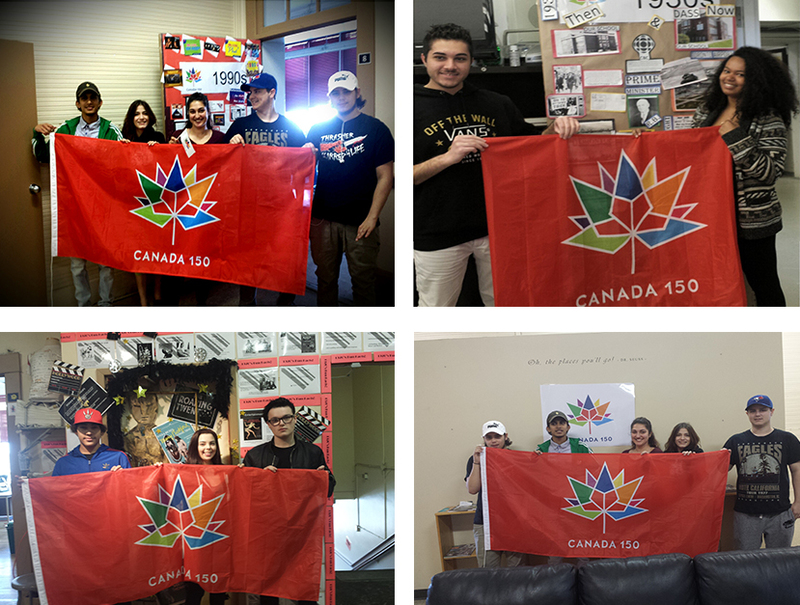 The Flag Shop is the supplier of choice for all your Canada 150 events and celebrations. If your school or organization has a vision for celebrating Canada 150, we offer a full range stock and custom products to help you mark this historic occasion, while showcasing your own brand. It’s Canada’s 150th birthday! And that’s a lot of candles! Happy Earth Day – Saturday, April 22! Comments Off on Happy Earth Day – Saturday, April 22! In 1970, after seeing the effects of the 1969 oil spill in Santa Barbara, California, U.S. Senator Gaylord Nelson had the idea for a “National Teach-In on the Environment.” He had hoped to assemble and organize the student community, so he chose April 22, falling between Spring Break and final exams. 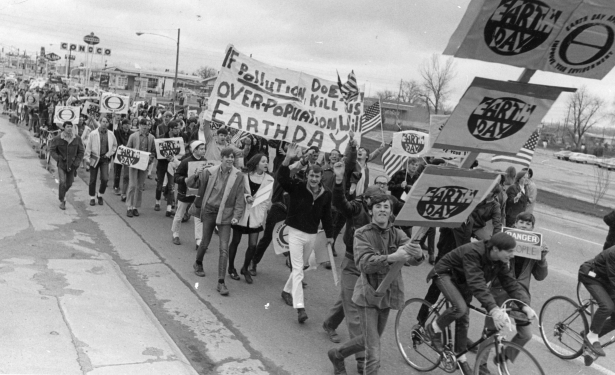 On April 22, 1970, more than 20-million Americans came out to the streets, public spaces and campuses in solidarity to show their support for a sustainable and healthy environment. That same year, the United States Environmental Protection Agency was established and Clean Air, Clean Water and Endangered Species Acts were passed. It was two decades later, in 1990, when Earth Day achieved worldwide levels of public engagement, rallying 200 million people in 141 countries, elevating environmental awareness to a global scale. It was Earth Day 1990 that brought new focus to the importance of recycling efforts and helped to pave the way for the United Nations Earth Summit in Rio de Janeiro, in 1992. Today, Earth Day is celebrated by more than a billion people every year. We’re so honoured to partner with our friends at Common Thread Cooperative , a local enterprise that sources street banners and other fabric to convert into colourful and durable products. Common Thread’s main social purpose is creating employment by providing sewing training and production coaching for newcomers to Canada, people living with mental illness and others. 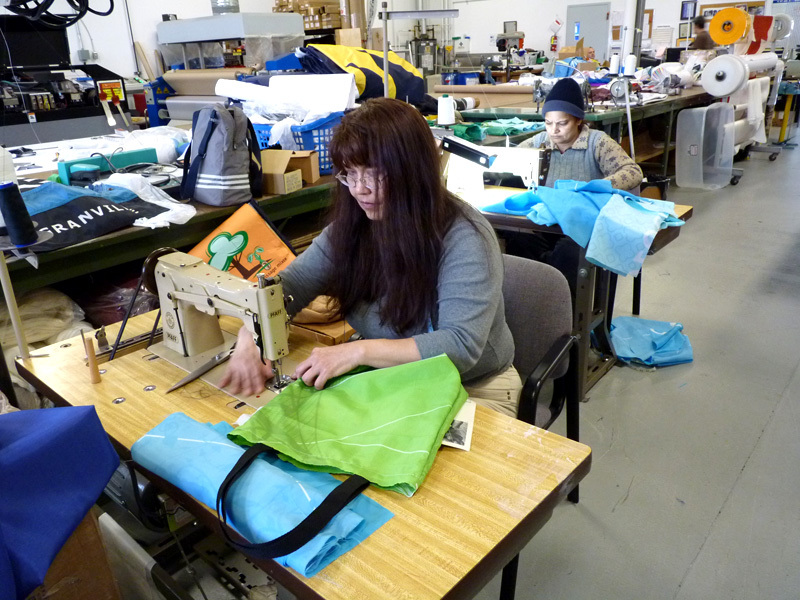 Upcycling used banners keeps them out of the landfill and contributes to the livelihood of the people who make them! We proudly offer GREEN options to our discerning clients who care as much as we do about making a positive difference in preserving the environment. Developed by The Flag Shop, Echotex® is 100% recycled banner fabric which consists of 65% pre-consumer polyester fiber and 35% PET bottles waste. 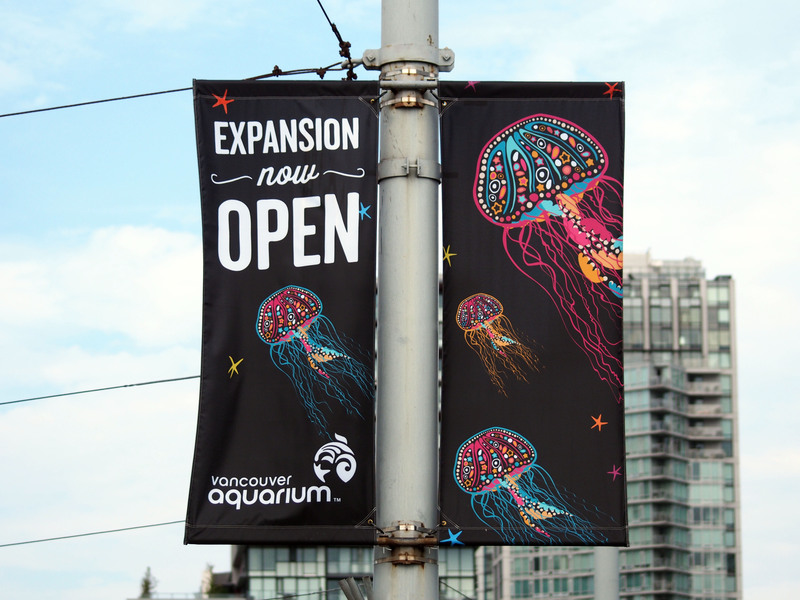 Echotex combines corporate social responsibility with vibrant and durable options for street banners. 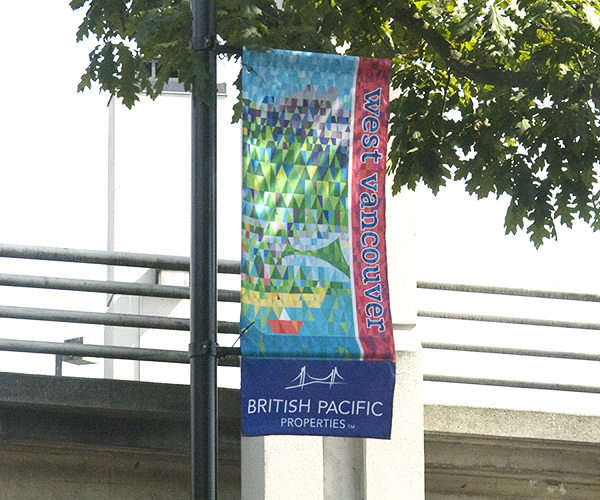 The City of West Vancouver was the first municipality to use Echotex for their street banners which was for the 2010 Winter Olympics. Since then, dozens of municipalities have chosen to go green by getting their street banners made by The Flag Shop using this fabric. Join us on Earth Day, Saturday April 22nd as we stand together as part of the global community, showing our commitment to ensuring a sustainable environment for future generations. 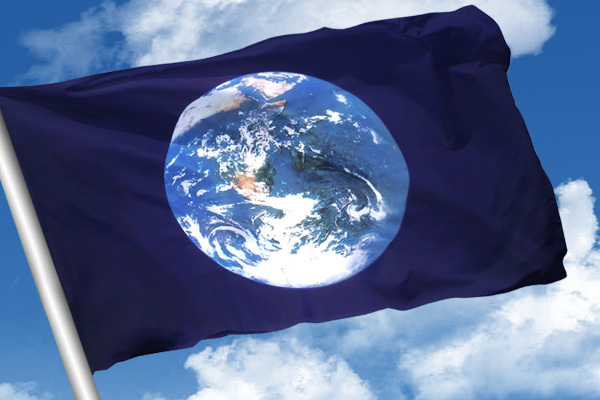 The Earth flag is available for purchase at The Flag Shop. Show your support by waving it not only tomorrow, but also throughout the year! 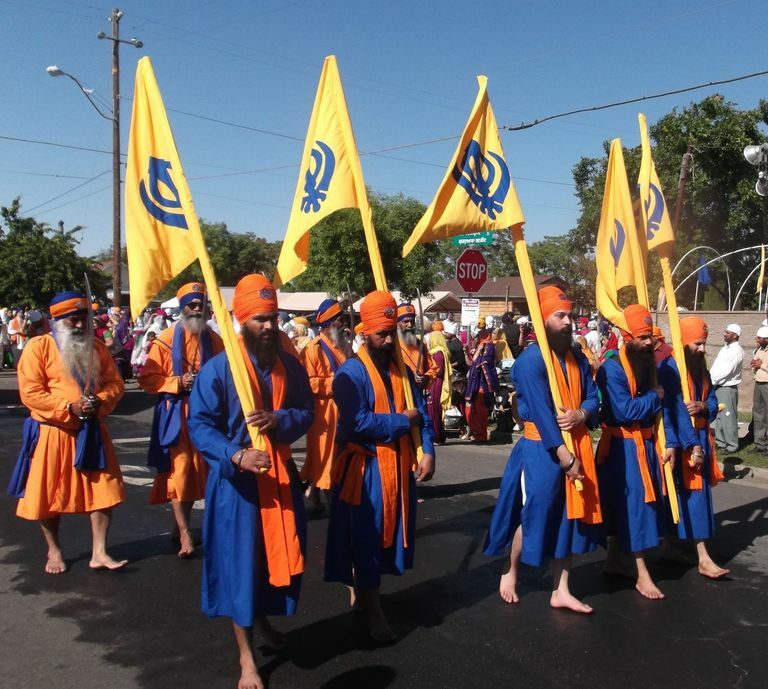 Vaisakhi is a festival which celebrates the founding of the Sikh community, known as the Khalsa. It is celebrated on April 14 each year. The Flag Shop is proud to serve its diverse range of clients representing cultural community interests, some of whom we have been working with for many years. Clients celebrating Vaisakhi include Gurdwara Sahib Kalgidhar Darbar, in Abbottsford and Sikh Temple Gurdwara, in Chilliwack. 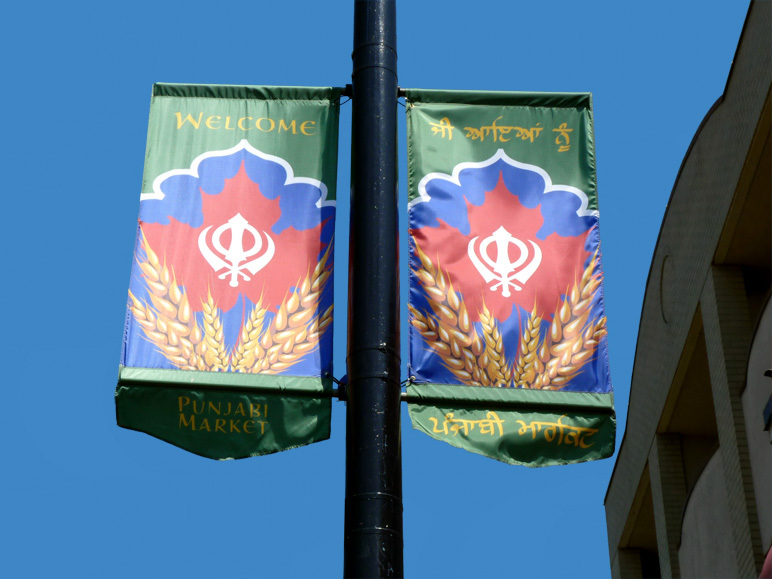 We’ve also had the honour of supplying the Punjabi Market with street banners over the years, to highlight this friendly and colourful district around Main Street and 49th Avenue, and we hear they will be hosting their own Vaisakhi parade, too! On Vaisakhi day in 1699, a guru named Gobind Singh called Sikhs from all across India to the city of Anandpur Sahib. At this gathering, the guru called upon Sikhs to uphold their faith and preserve the Sikh religion. Guru Gobind Singh lifted his sword and asked anyone prepared to give his life for his faith to come forward. One Sikh came forward and followed the guru into a tent. Shortly after, the guru reappeared alone, carrying a sword covered in blood. He asked again. Another Sikh stepped forward. Again, the guru took him into the tent, and reappeared alone, with his sword covered with blood. This was repeated until five Sikhs had offered up their lives in the name of their faith. In the end, the guru emerged from the tent with five men dressed regally in blue. Guru Gobind Singh called the five Sikhs the Panj Pyare: the Five Beloved Ones. The Five Beloved Ones were the first members of the new Sikh community, called the Khalsa. Khalsa men took the surname of Singh (meaning lion) to represent courage and women took on the surname Kaur (meaning princess) to emphasize dignity. 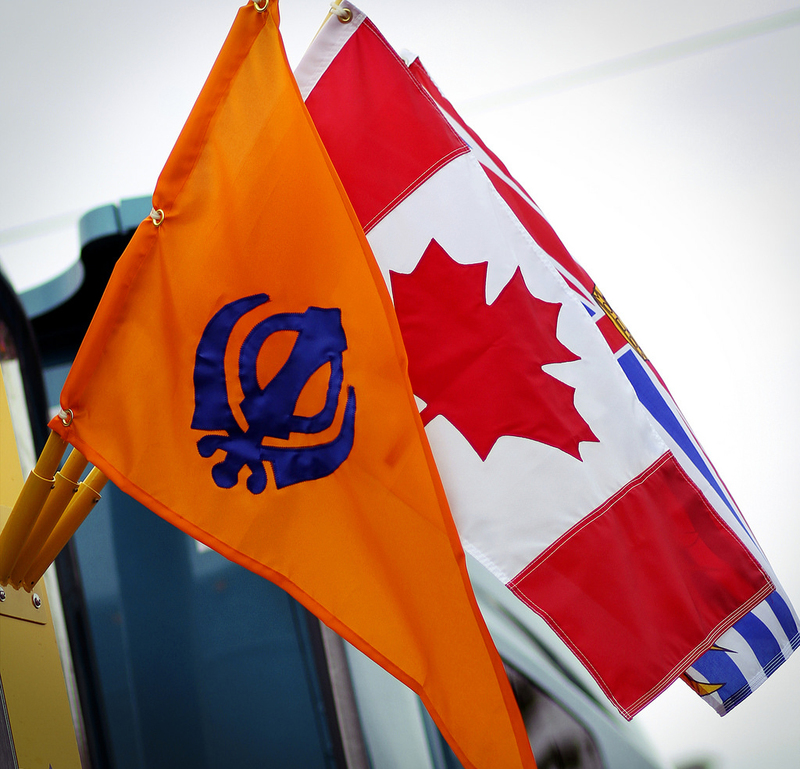 Khalsa and Vaisakhi celebrations are taking place across Canada, most notably in Calgary, AB , Burlington, ON, Toronto, ON and Surrey, BC. 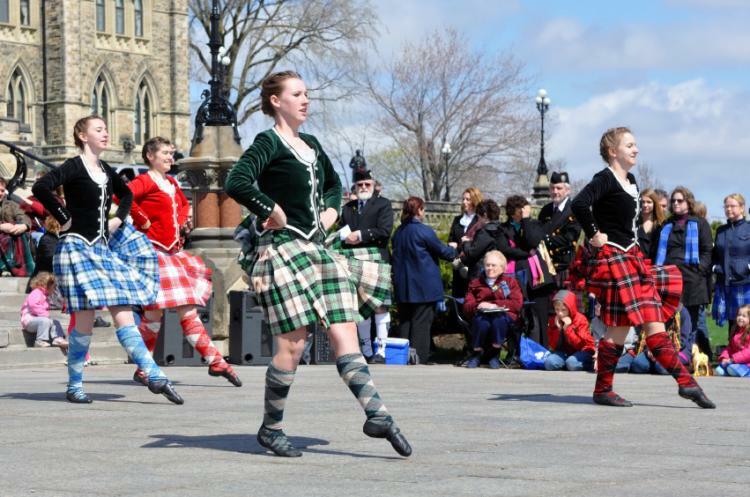 Thanks to the tireless efforts and work of Jean Watson, spanning 30+ years, Tartan Day is recognized by all Canadian legislatures as well as the Senate of the United States. The tartan is a traditional woolen fabric woven in patterns, striped or checkered (plaid), and has long been a symbol of Scotland. Canada’s national tartan, the Maple Leaf Tartan, was created by David Weiser in 1964, in preparation for the 100th anniversary of Confederation. It has been proudly worn by Canadians over the years, and was given official status in 2010. 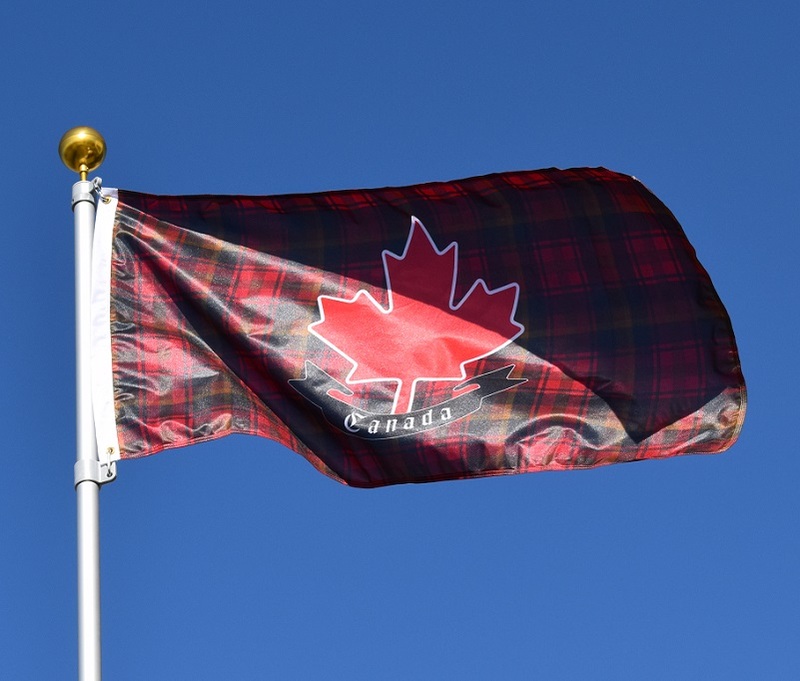 Today, join The Flag Shop as we honour and celebrate the more than four million Canadians of Scottish heritage, who represent an important part of our national identity of freedom, cultural diversity, unity and strength. 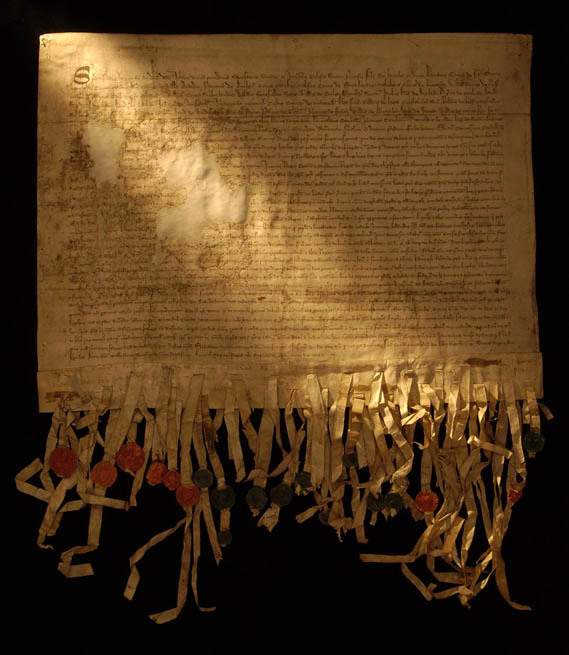 For more information about tartans, symbols of Scottish heritage and pride, please visit Tartan flags and Highland flags on our website. You are currently browsing the The Flag Shop Blog blog archives for April, 2017.